We’ve written about Janus before. 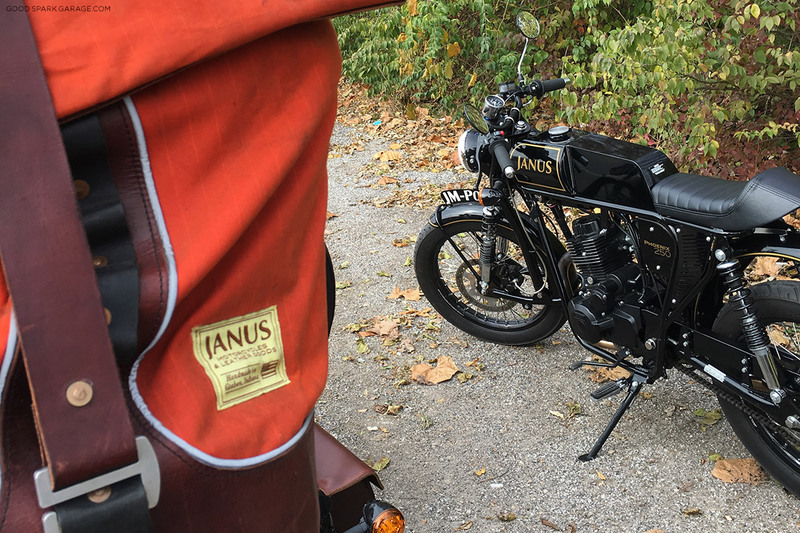 We’ve test-ridden and reviewed the Halcyon and Phoenix models and penned an “about Janus” piece that paints a picture of what these guys are like. 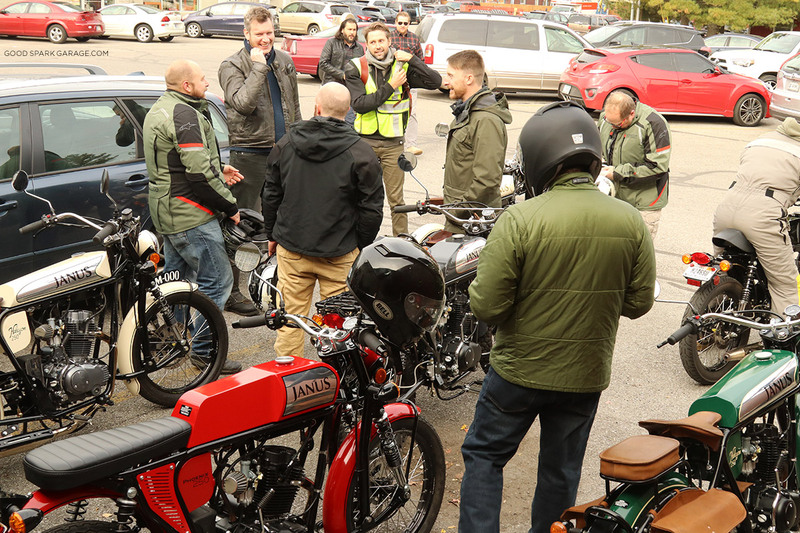 For this article, we’ll provide a peek into how they like connecting with their audience via an in-depth presentation, test rides, and cordial conversation. 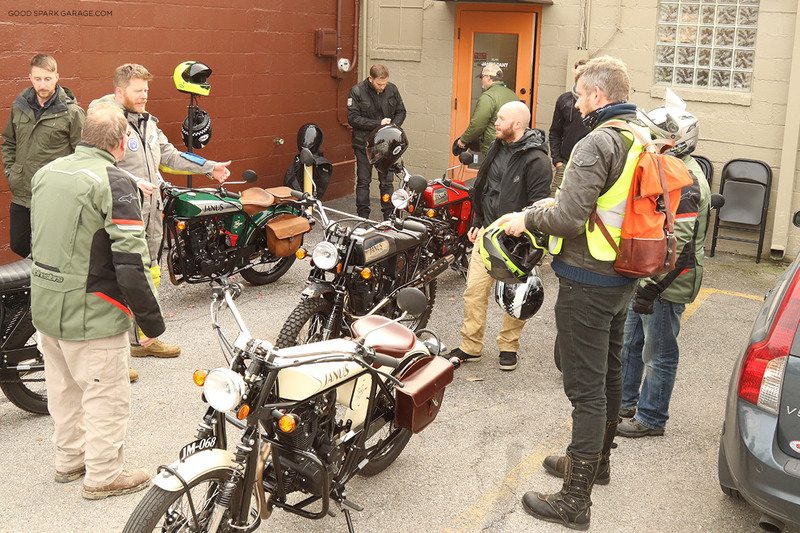 After meeting and greeting and signing a test-ride waiver, a nice li’l short film is played, created by their resident videographers, photographers and storytellers, Grant Longenbaugh and Jordan Swartzendruber. 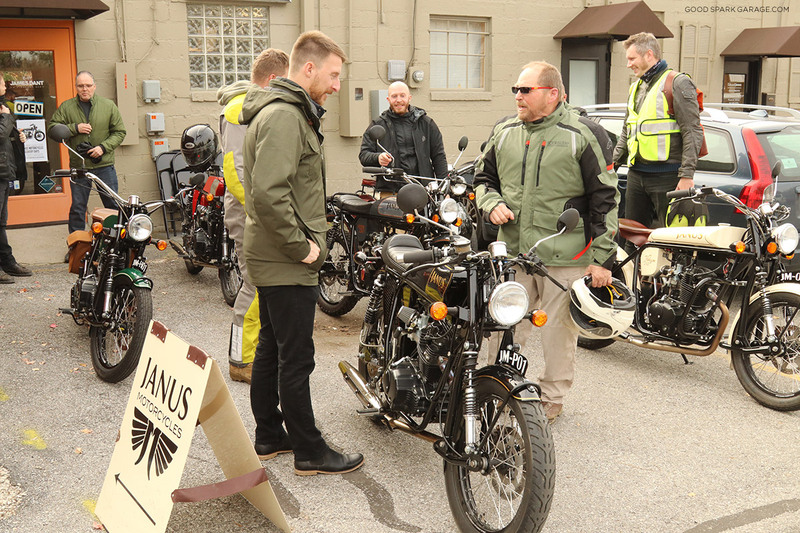 Then, the founders, Devin Biek and Richard Worsham, stand and deliver a thorough background of the company along with an honest report of the current state of things at Janus. 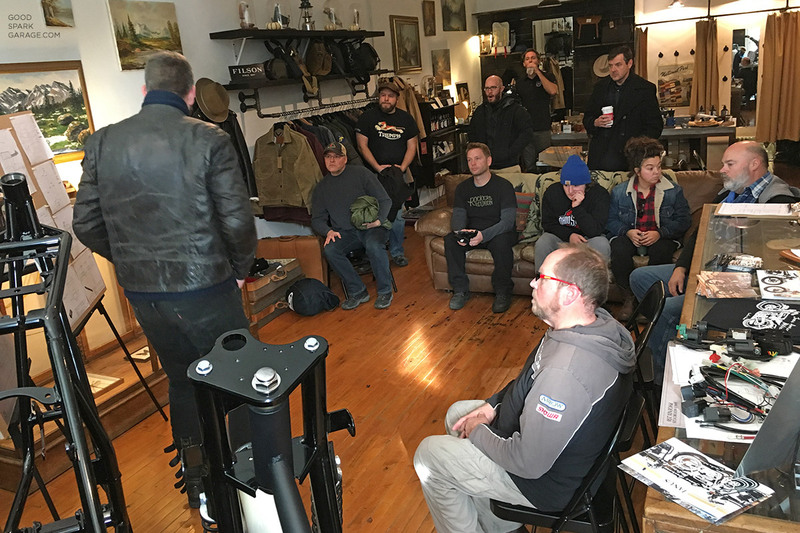 Founders Devin Biek (left) and Richard Worsham talking with attendees. 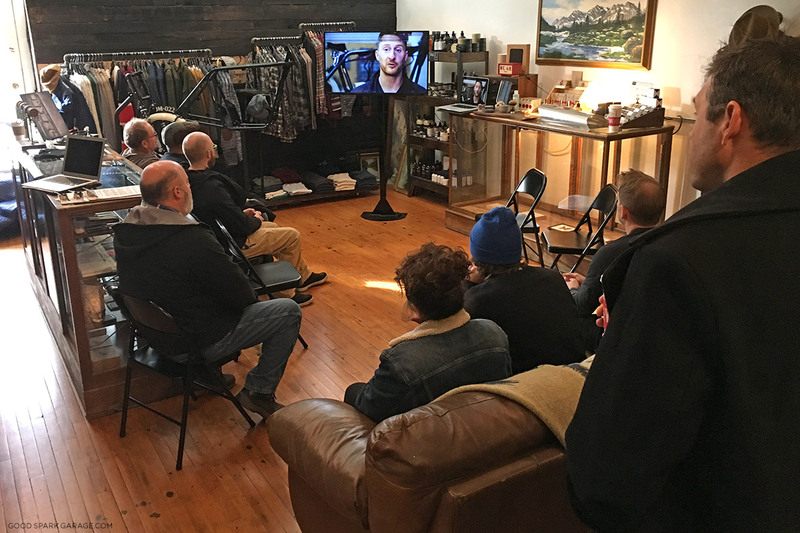 We heard an abbreviated update on how they’ve improved processes, adjusted shop efficiency, and how they strategically source materials. 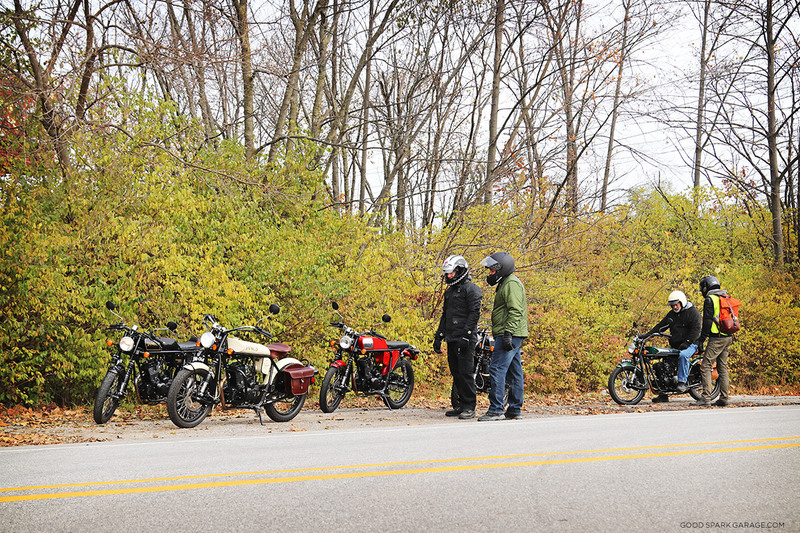 They’re an open book about their parts, engines, and pursuit of movin’ forward. Richard Worsham gives us the skinny on the Janus power plant. 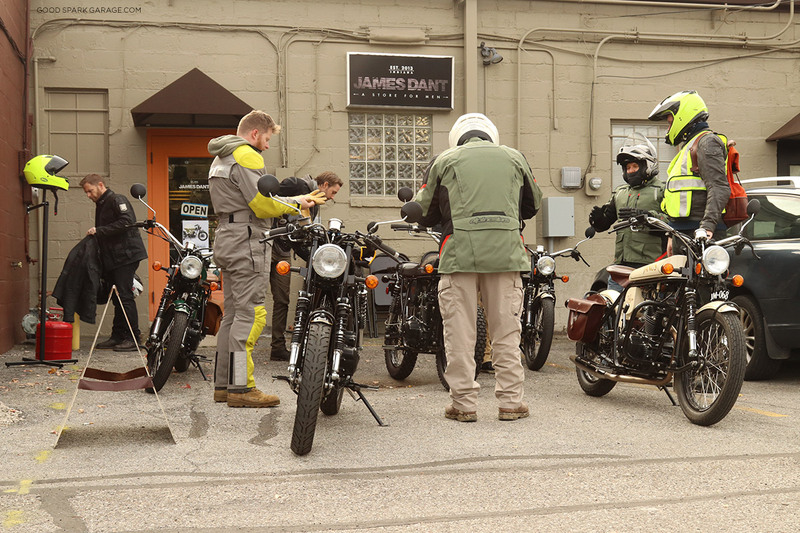 After an interesting download of all things Janus, their product line-up awaited outside. On this day, it happened to be below 40-degrees Fahrenheit, hence the layers. 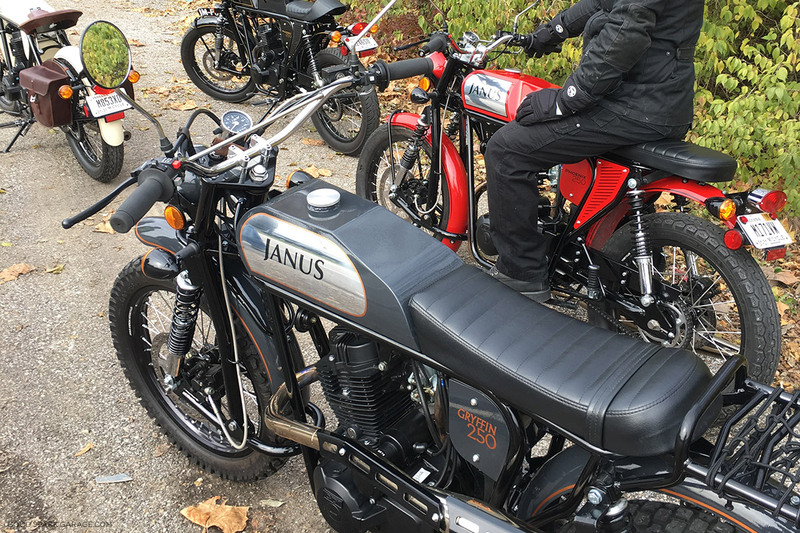 They brought a fleet of the varying Janus Motorcycles and stopped halfway through the test ride so you could switch if you wanted. 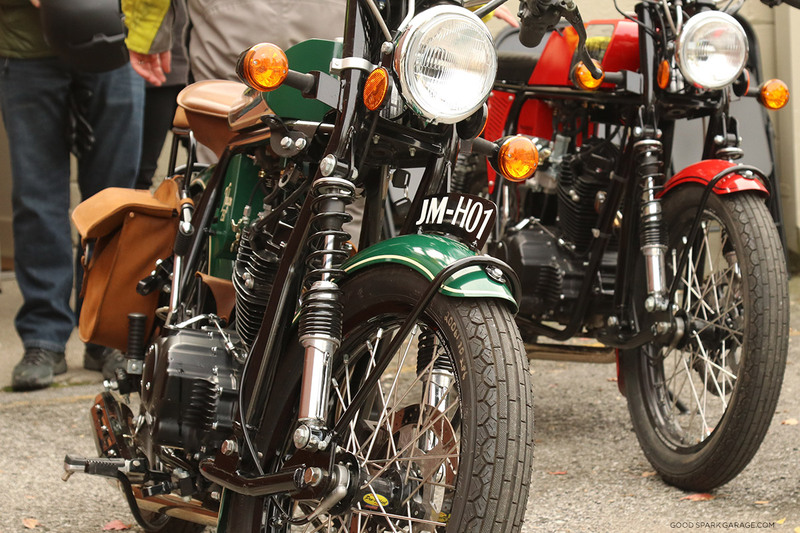 Riders could choose between the cafe-racer-esque Phoenix, the classy Halcyon, or the more recent scrambler-inspired Gryffin, all 250cc single-cylinder machines. 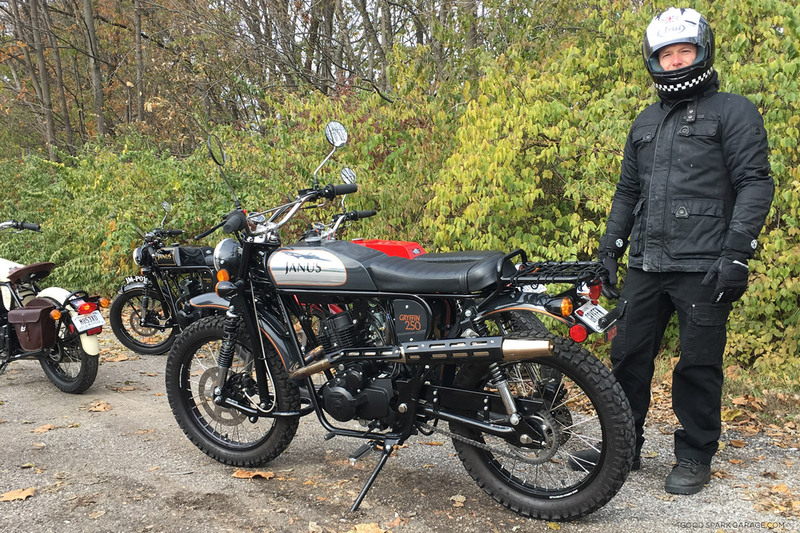 Casey Wilkinson of Good Spark Garage test-rides the new Gryffin. 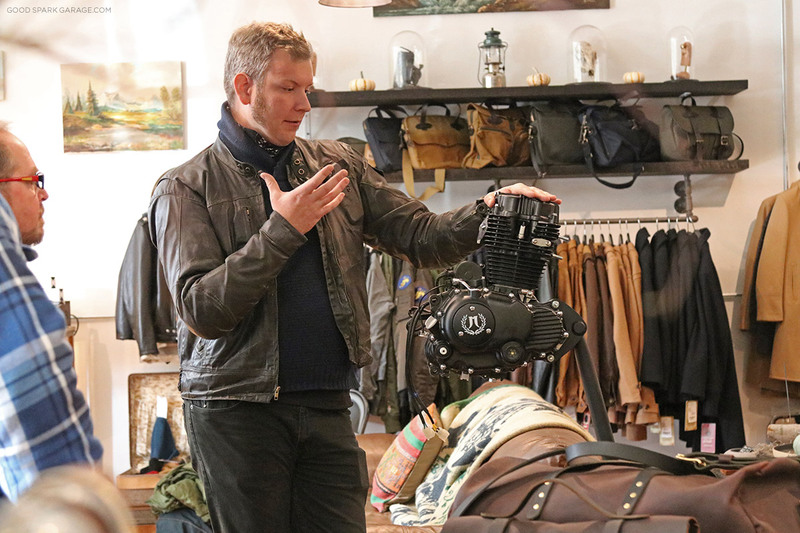 Corey Wilkinson of Good Spark Garage aboard an accessorized Halcyon 250. 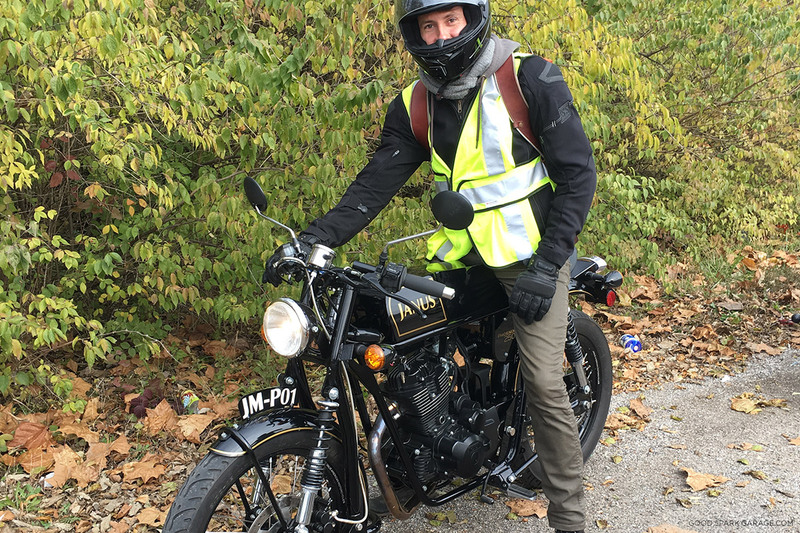 Jordan Swartzendruber of Janus leads our group of test riders. 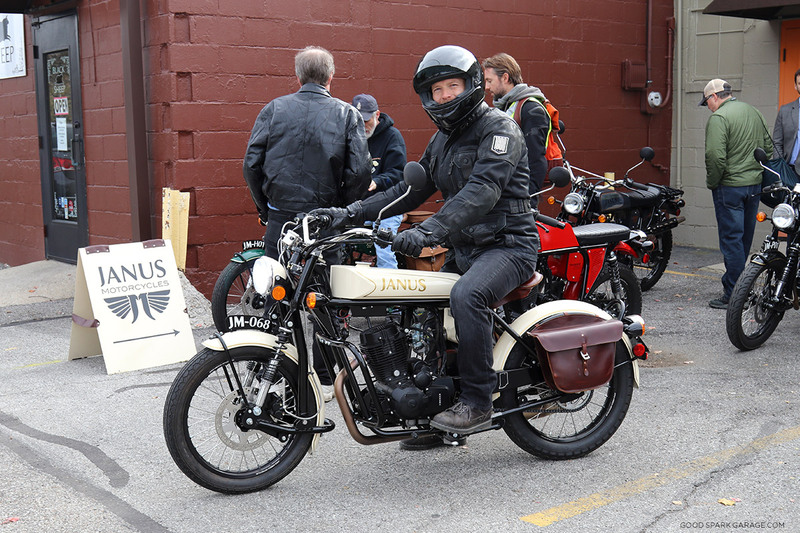 Grant Longenbaugh of Janus readies a Phoenix for its new owner. 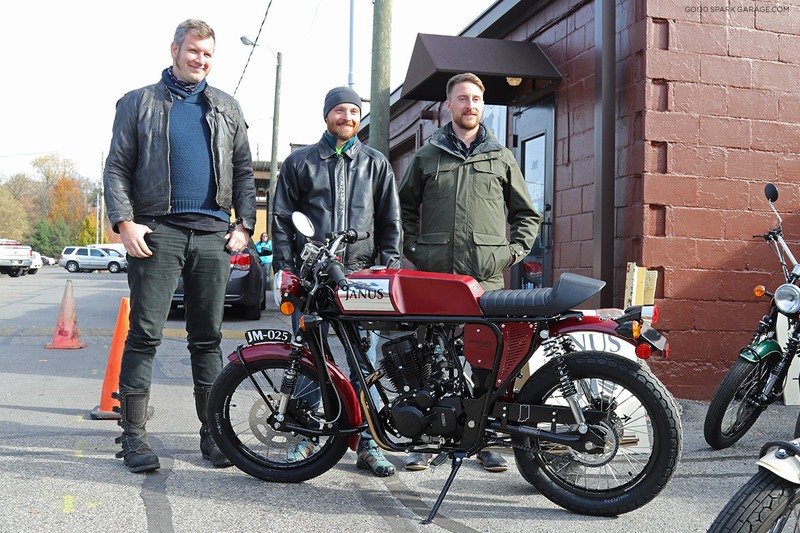 A proud new owner (middle) of a Janus Motorcycles Phoenix with the company founders. 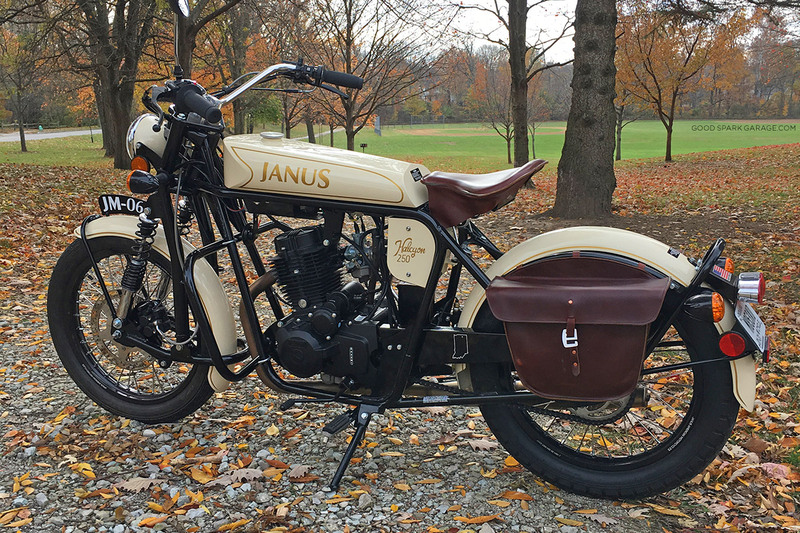 If you’re even slightly considering owning one of these Hoosier-made gems, you should look into the Janus Discovery Days for a thorough introduction. 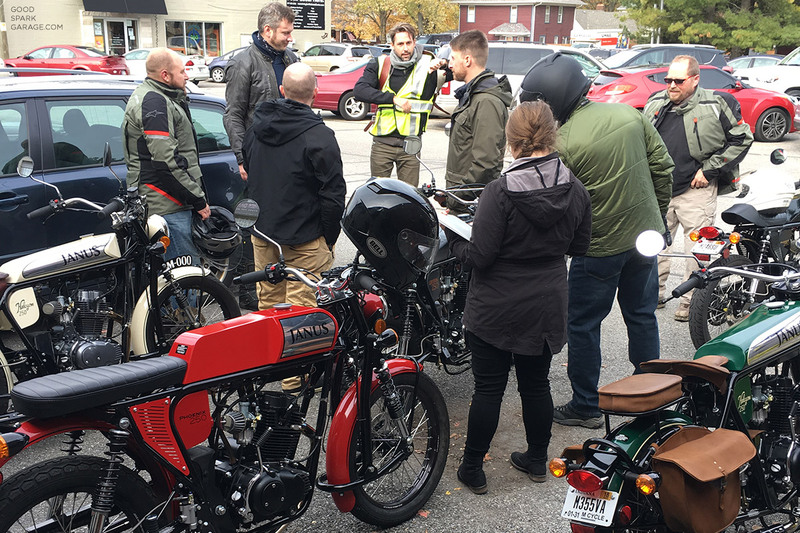 You can purchase a ticket to reserve your spot for a shop tour, test ride and a bite to eat in the inviting town of Goshen. 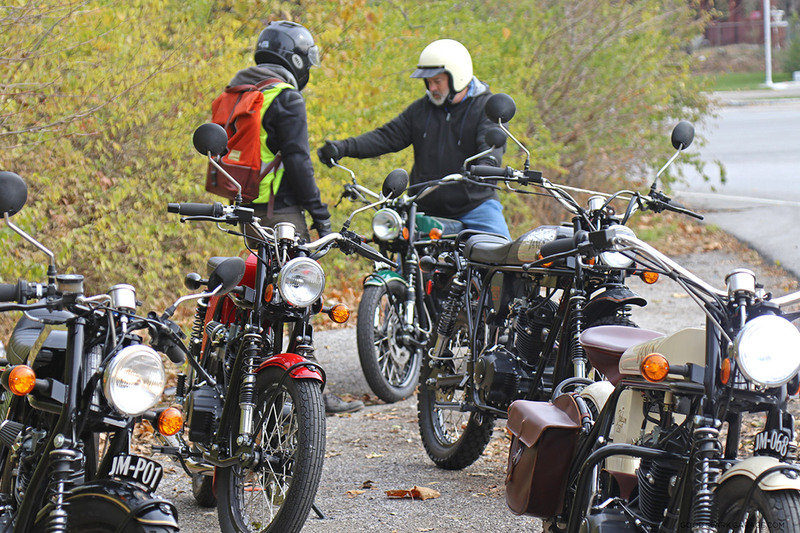 We also hear there are some savings offered to those who attend. 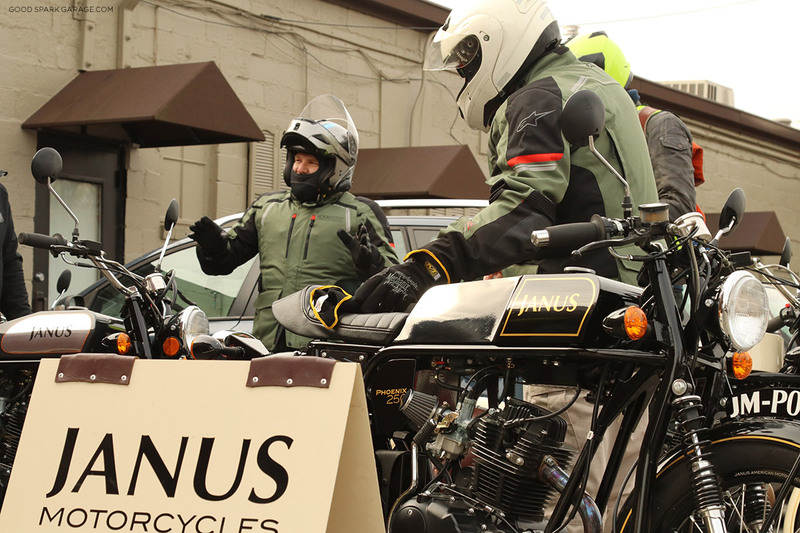 One thing you’ll learn about Janus, they couldn’t be a nicer group of people. 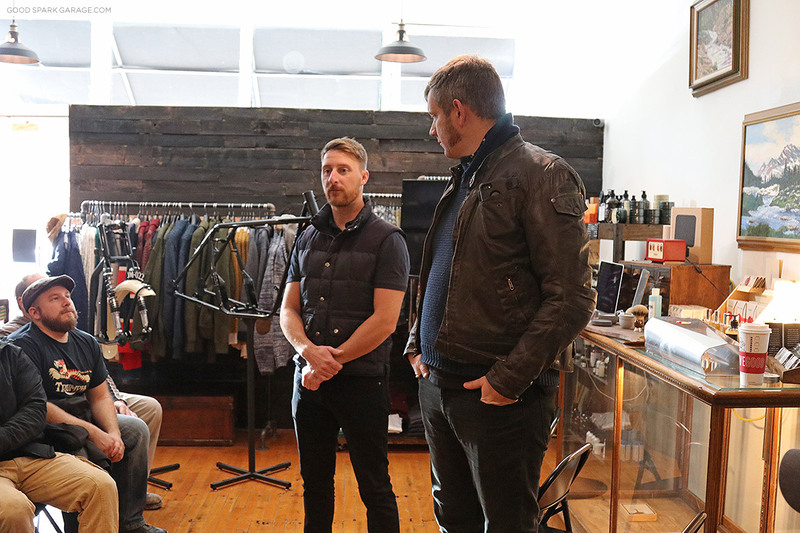 Expect good conversation without a pressured sales pitch. 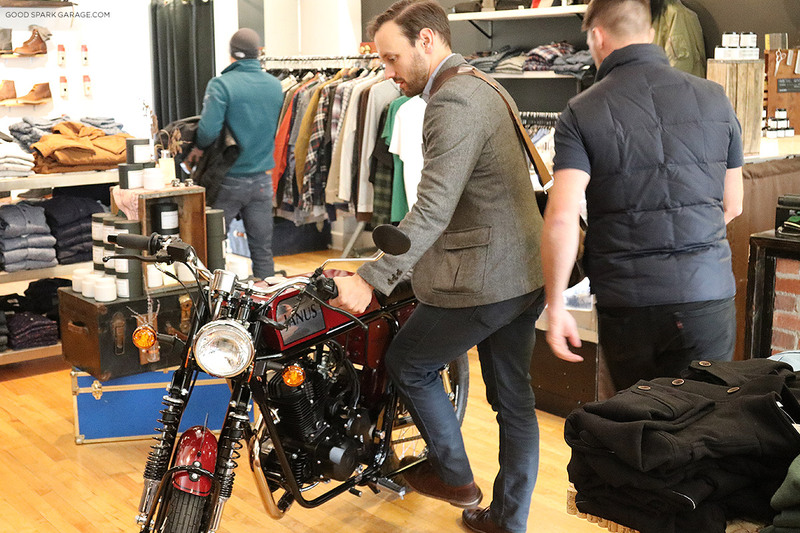 Their intent is for you to “get a feel for which model suits you best, and have a blast!” Ask ’em any question and they’ll be happy to oblige. Won’t find a better group of guys. Did the Janus Discovery Days gig and it was the best. Go visit them in Goshen. 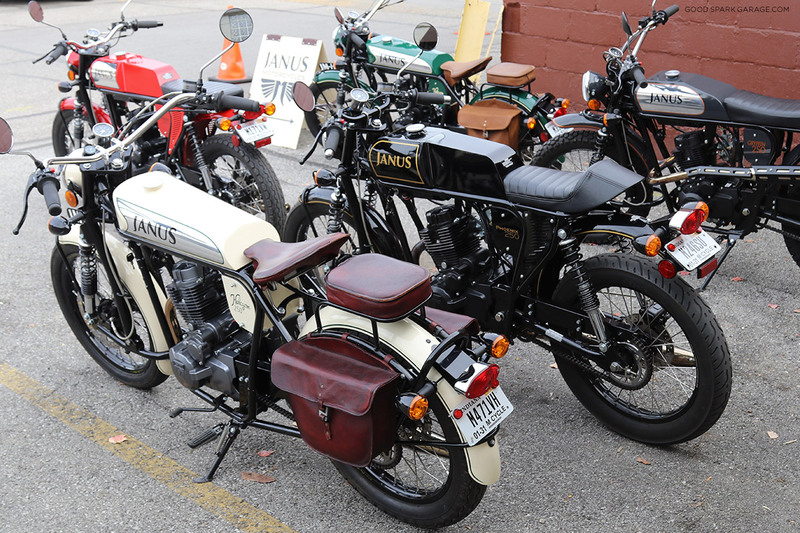 They are what all motorcycle manufacturers could aspire to.